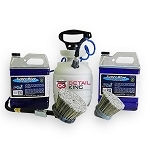 Save time and money when dressing tires or spraying degreasers to clean engine compartments and wheels. 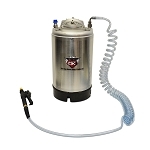 Our stainless & plastic chemical dispensing tanks will not only speed up the detailing process, but save you money by using less product. 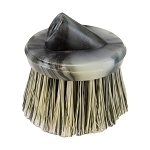 Our DK-SWP01 Tire Dressing Applicator Tank includes both a 6" and 3" dressing applicator brushes connected to a 5 foot hose. 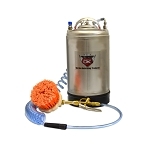 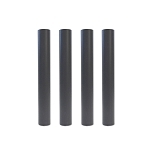 This unit is charged with air, by using the hand pump to pump air into the canister. 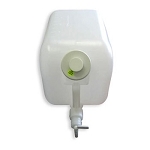 The new design also has a pressure relief valve and now features a more durable tank. 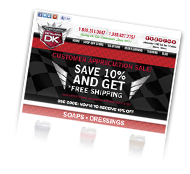 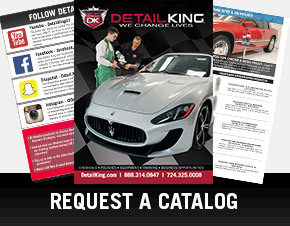 Our DK-SWP01 Tire Shine Dressing Applicator Tank package comes with two gallons of Super Blue Tire Dressing, enabling you to dress tire like a pro! 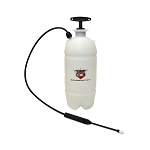 The Sure Shot Pressure Sprayer provides a uniform spray of most light liquids. 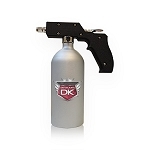 You are able to control the spray for a uniformed application. 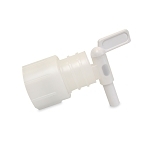 This unit comes standard with one adjustable spray nozzle. 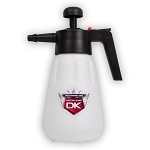 Adjust to a jet stream or fine spray mist. 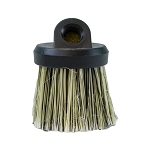 Chrome plated brass will help assure sprayer will not rust. 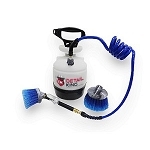 Our pump sprayer makes it easy to apply cleaners and dressings to surfaces. 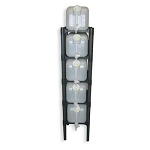 Easy to use pump action with 1/2 gallon capacity.